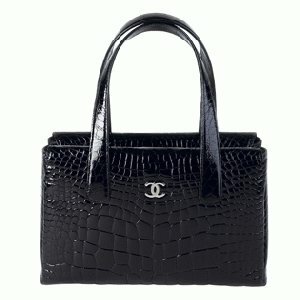 This website once accommodated sellers of cheap fake Chanel including an online replica store. Pursuant to a United States District Court Judgment and Injunction, the previous owners of the online bag shop, CHEAP FAKE BAG, were held to have been selling replica Chanel bags. For genuine CHANEL bags, please visit the official CHANEL website at www.CHANEL.com. CHANEL has made it a top priority to stop online shops from selling replica handbags. While actively monitoring the internet, CHANEL is constantly being informed of activities within shops, auctions and other sites. Subsequent actions are taken where appropriate including but not limited to lawsuits and criminal complaints against fake handbag sellers. If you are someone, or have knowledge of someone, who may be considering buying replica, cheap or fake Chanel purses, we urge you to take heed and refuse fake bags. Purchasing such an imitation handbag immediately puts you in the position of supporting criminal activity. And, if you are a replica handbag vendor, bear in mind that we are active, we are watching, and we are taking action.